The Disney Den: MY BOOK IS PUBLISHED!!!! I'm so ridiculously excited to announce that my book, "Sara Earns Her Ears" has officially been published and is now available on Amazon!! 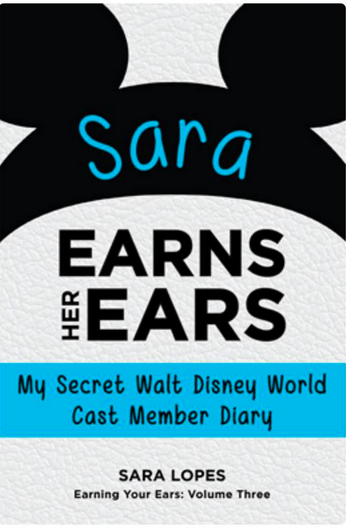 For those of you who don't know, "Sara Earns Her Ears" is about my experience living and working in Florida in the Disney College Program. A publisher from Theme Park Press found my blog and asked if I could contribute to his series about people who participated in the DCP. I simply couldn't refuse. Thank you so much for everyone who has supported me through this crazy experience and journey. I can't believe I can actually say I'm a published author!! 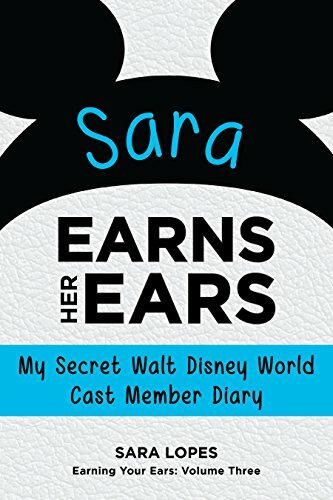 You can purchase a copy of "Sara Earns Her Ears" now on Amazon, both in print and on Kindle! Feel free to leave a review on Amazon as well if you purchase a copy, and make sure you check out the other books in the "Earns Their Ears" series! I can't wait to read this book! Your advice really helped me and although I couldn't accept my offer, I am applying again because I will finally be able to do the program, so with your help again from this amazing blog and when I read your book, I hope to get in again! Wow! That's so amazing!!! CONGRATULATIONS!!!! !